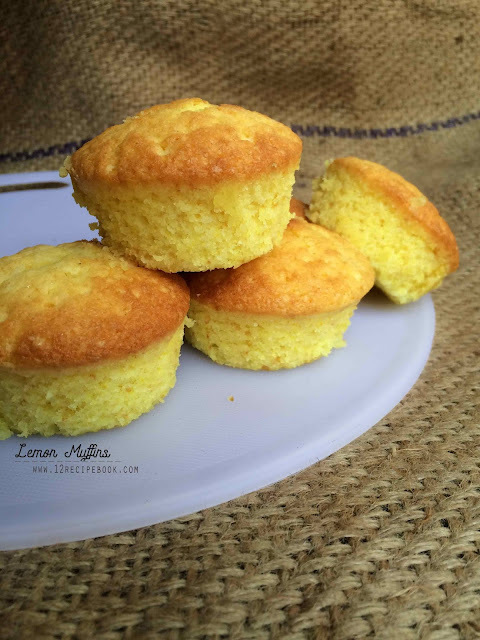 Lemon muffins are simple and super moist delicious bites. Try this light and fluffy lemon flavored muffins and you can whip it up if needed. In a large bowl combine flour, baking powder, baking soda and salt. In another bowl mix milk, butter, egg, lemon juice, food color, zest and vanilla. Add the dry ingredients gradually and fold until combined well (don't over mix). Scoop in to prepared muffin tray and bake for about 15-20 minutes until nice golden on top.